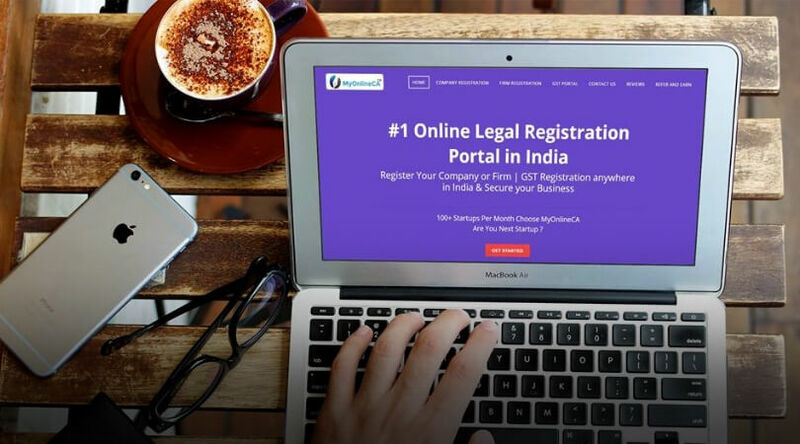 How MyOnlineCA Build India's Fasted Growing Legal Brand! India’s is one of the growing countries in the world. if we talk about the internet penetration rate then after the coming of the Jio its has been increased by 500 Million Users till the June 2018 as per IAMAI Reports. Today regarding online shopping India’s is one of the fast-growing Asian markets. From Electronics Item to Mobile Phone to Grocery, food everything is Online then why professional legal services are not online. 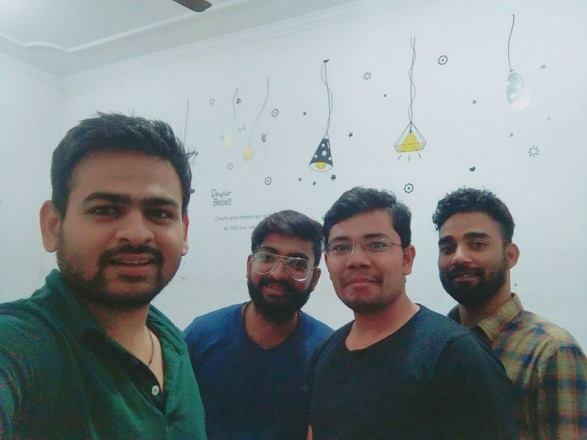 On this idea 2 Boy From Jaipur Devyash Patel & Ankush Sachdeva from Delhi Founded MyOnlineCA in 2016. MyOnlineCA Started by Jaipur Boy Devyash Patel in 2015 with the idea of online legal services. He created a professional legal services marketplace initially and help more than 100+ Start-ups but due to lack of the quality service & expensive fees, Indian’s start-ups can’t afford the legal registration from traditional CA’s or Professionals. After that, he met accidentally with Delhi based guy Ankush Sachdeva during the tie-up process of MyOnlineCA. They both work together 6-8 month, after that, they relaunched MyOnlineCA with own Legal team so they can reduce the professional fee and provide the quality of the service to small business and start-ups. So, How are MyOnlineCA Helping People? MyOnlineCA, 99% Clients, are small start-ups and business which started their business initially to test their ideas. 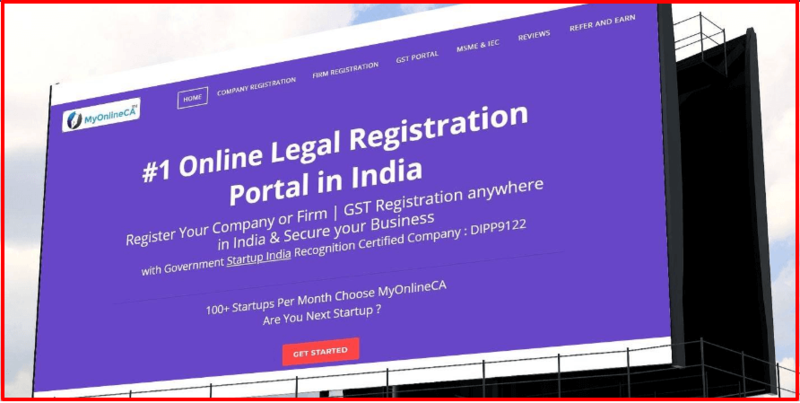 So they are always looking for the cheaper and quality legal services from free consultancy to affordable legal registration like Private Limited Company Registration, Udyog Aadhar or GST Registration or FSSAI Registration etc. MyOnlineCA has simplified online portal where you have to choose the right service and place the request with the necessary details & make the payment online. After that system automatically assigns a dedicated Chartered Accountant with Account Manager in their In-house Team which helps to client from registration to consultancy. So each start-up gets the right free consultancy initially from MyOnlineCA then they choose the proper legal entity incorporation or tax registration etc. Right Now MyOnlineCA deals in more than 10+ Services from Business or Company Registration to Tax Filing, Tax Registration or Trademark & patent, etc. Why is MyOnlineCA Different from another legal service provider? MyOnlineCA is not like traditional CA Firm or any other portal. It’s always tried to give the quality of the service and understand client’s needs & try to get done at the cheapest cost. MyOnlienCA Build an automation platform for some service which reduces the professional fee and client directly can do that on DIY Method on the platform. It is also one of the Govt Start-up India Recognized Company. MyOnlineCA has awesome Delhi of 25+ having an office in Jaipur and Delhi. In Jaipur, they have business development and marketing team & from Delhi, they handled the legal services of the clients. MyOnlineCA builds a systematic approach for servicing to the clients. They assign an account manager with the dedicated legal executive on each task after the service. Initially, they prepare a system which provides free legal consultancy through email, WhatsApp Chat. Even Recently MyOnlineCA Own YouTube Channel Cross 1.5 Lakh Subscriber with over 80 lakh+ Viewership. They also won several awards in B Plan Competition. So this is the story of Devyash Patel and Ankush Sachdeva who’s built MyOnlineCA from just 200 to India’s leading Legal Brand. Related Topics:Ankush Sachdeva MyOnlineCACA for Startups IndiaDevyash Patel MyOnlineCAGST Registration MyOnlineCAMyOnlineCA Contact NumberMyOnlineCA Helping PeopleMyOnlineCA ReviewsMyOnlineCA ServicesWhy is MyOnlineCA ?